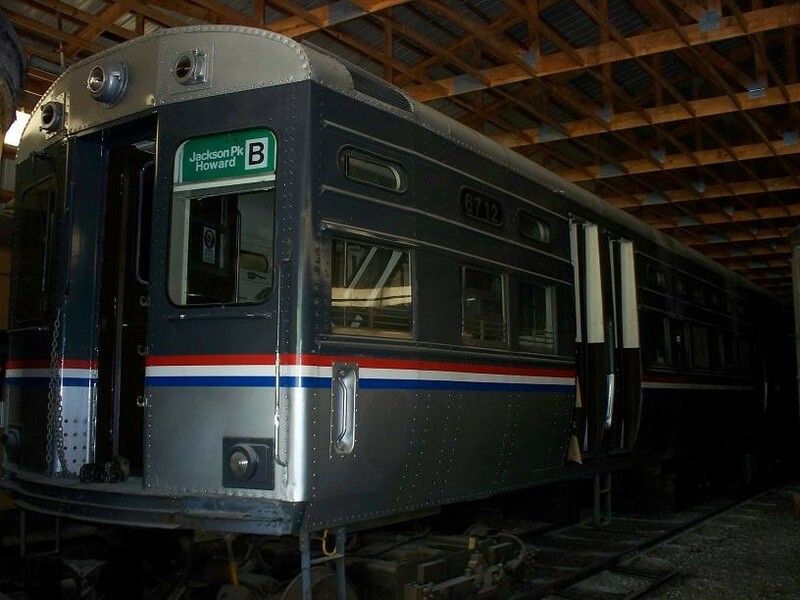 Among the collection of the Museum of Transportation near St. Louis is this CTA 6000-series rapid transit car pair, 6711-6712. These cars were built by nearby St. Louis Car Company in 1959 and were retired and sold to MOT in 1993. Photographed by Frank Hicks, July 12, 2009. Added to the photo archive by Frank Hicks, July 15, 2009.